Remember this card? 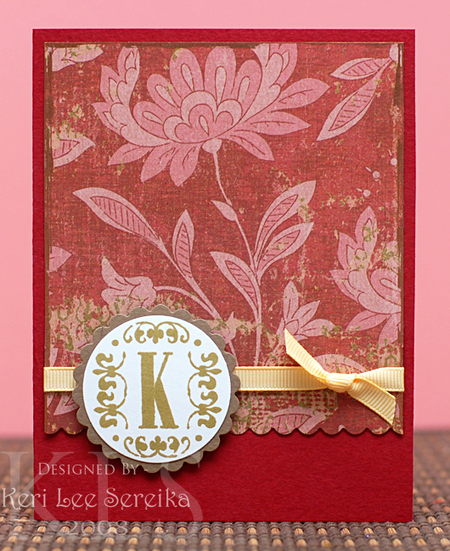 Where I had asked you to guess how I got the cute scalloped line on the patterned paper? Well here is how I did it! 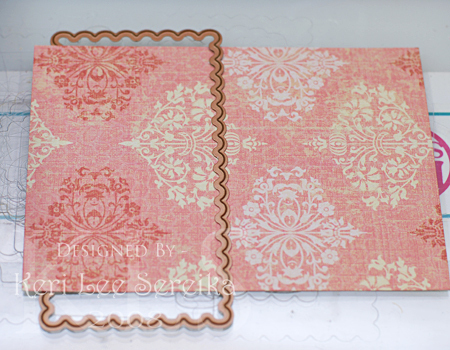 :) I had seen Debbie Olson do something similar to this with the Classic Scalloped Paisley and so I have just taken it a step further this week! 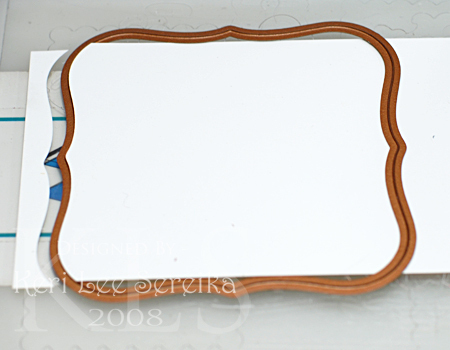 Insert your strip of paper through the MIDDLE of a Long Scalloped Rectangle Die. 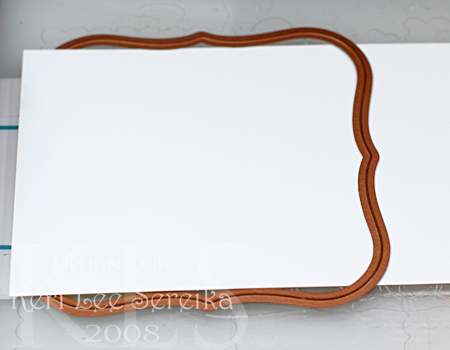 Place it on your cutting mat face up with just the end of the paper that you wish to cut laying over the die. The other end of the paper MUST be UNDER the other side of the die, as shown. 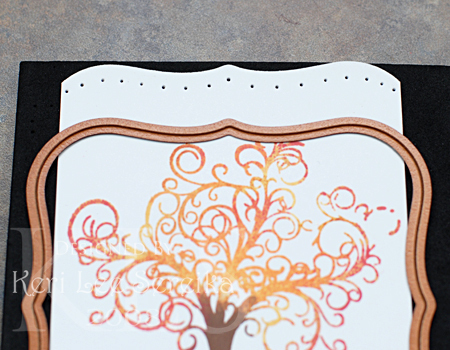 Run it through your die cut machine and you will not have a strip of paper with a PERFECT DIE CUT SCALLOPED EDGE! WOOHOO!!! 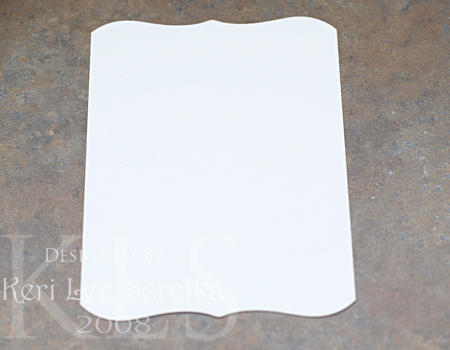 Again, place your paper strip (3.5 " wide for the largest Labels One die) through the middle of your die. 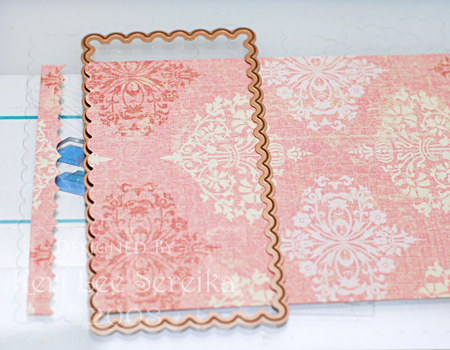 Run it through your die cutting machine. But don't stop there!!!! Repeat on the other end of your paper. I marked a tiny dot where I wanted the point of my second end to be so I had a 3.5" x 4.75" main image so that it would center nicely on my finished piece. Do you see it up at the top right of the image? 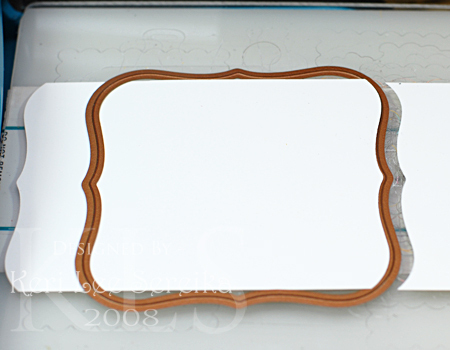 Stamp your image and place it on a piercing pad. 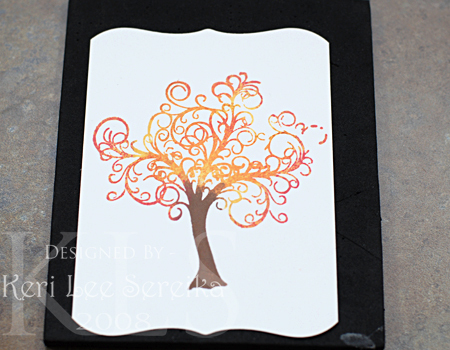 Here I used various shades of Fluid Chalk Cat's Eyes by Clearsnap to ink up this fun swirly tree by Unity Stamp Co. This tree comes as part of the Growing In Unity Set but you can also purchase it as a single stamp as well! 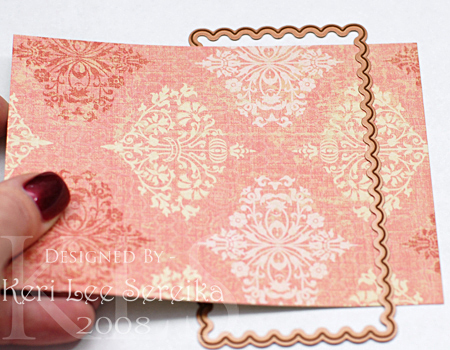 Pierce all along the top and bottom edges... Then take your stamped piece and assemble your card.